The American House of Representatives today supported calls to eliminate the use of bottle water in Congress. 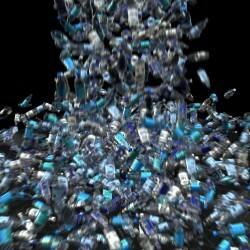 The $860,000 that Congress spends on bottled water each year amounts to $2,000 per representative. House Speaker John Boehner received more than 65,000 messages asking for a cut to wasteful spending. The message campaign was spearheaded by Corporate Accountability International, Change.org and Food and Water Watch. While it is nice to see that wasteful spending is being cut, Washington has a lot more work to do. The US deficit has grown by over 4.5 trillion dollars in the last three years, so $860,000 is a drop in the bucket. I can imagine that the government will find equally foolish ways to spend the bottled water savings. The real message should be that government is taking the lead in being responsible to the environment. The amount of water and resources and fuel consumed to get a bottle of water to your door is enormously wasteful by every measure. Why not save the costs of making the bottles, shipping the bottles, and then disposing of the bottles by simply putting in filters for taps, or provide a filtration system for the entire House? That would probably be too easy. My guess is that somebody figures out how to make money on it. According to the PUC, the city’s tap water costs $.003 per gallon versus $1-$4 per gallon of bottled water. And it’s much better for the environment since it doesn’t come in plastic bottles. Stop buying bottled water and make your own. It will likely be much cleaner water, it won’t pollute the environment, and… drum roll… save you lots of money. If you need to take bottled water with you to work or to put on your bedside table at night, get a proper filtration system and make use of a reusable bottle.